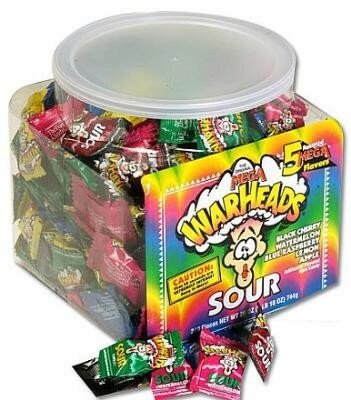 Warheads 240 ct. Tub from Impact Confections, the classic, super sour candy in a convenient reusable tub. How can something so sour make people so happy? Flavors: Apple, Black Cherry, Watermelon, Lemon and Blue Raspberry. Individually wrapped. 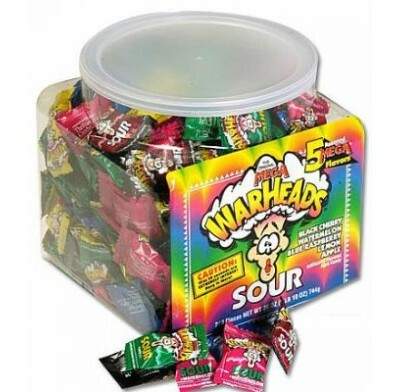 Packaged candy comes 240 pieces per tub.